Any port in a storm, one might say. Any Nakajima in a crisis ... ALL shall be explained. Today's Typewriter Odyssey took me on a wild and wondrous ride through the rain forest wilderness of the New South Wales Northern Rivers hinterland. It took me to the hippie nirvana of Nimbin, once so well described by writer Austin Pick on FudoMouth: "It is as if a smoky avenue of Amsterdam has been placed in the middle of the mountains behind frontier-style building facades ... Nimbin is a strange place indeed." I was in such haste to reach the coast I didn't bother to pause and investigate the whereabouts of a now mysterious rainbow- coloured typewriter. But I can die happy, knowing that I've seen this hippie heaven, this rainbow-coloured paradise set high in the mists of the Rainbow Region of the Nightcap National Park. Naturally the Typewriter Gods knew in advance what my destiny on this day would be. So right at its onset, they provided me with another FuNkOMaTiC, a second "new" typewriter on this trail to the Queenslander Type-In at the Breakfast House Hotel in Brisbane on Sunday. 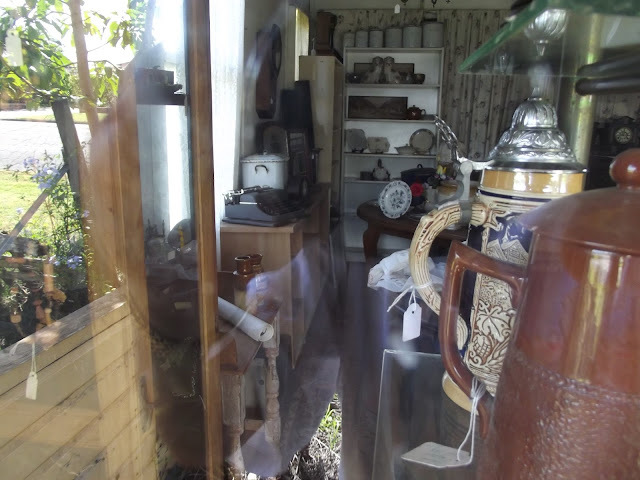 The day opened brightly in Taree, where the people at my motel gave me directions to two antiques stores, one called Clancy's and the other called Düka. After taking snaps of the mighty Manning in the early morning sun, I found Clancy's. "I had one here for yonks," said the fellow opening up the store. "But I sold it last week to a young chap." At Düka two Brothers (one a Lemair-Helvetia) and an Olympia SM3 with a poorly repainted black ribbon spool cover failed miserably to appeal. Surely this sunny day held much better things in store. While waiting for Düka to open, another patient customer said, "I know there's a typewriter at Col's Barn." So I backtracked into Taree and found the big blue barn. "I chucked all the typewriters out," said foolish Col. "You can't get ribbons for them anymore, no point holding on to them." But I now realised I was on the road to Wingham, a place I'd been moderately keen to revisit. Wingham is a village 12 kilometres north-west of Taree. 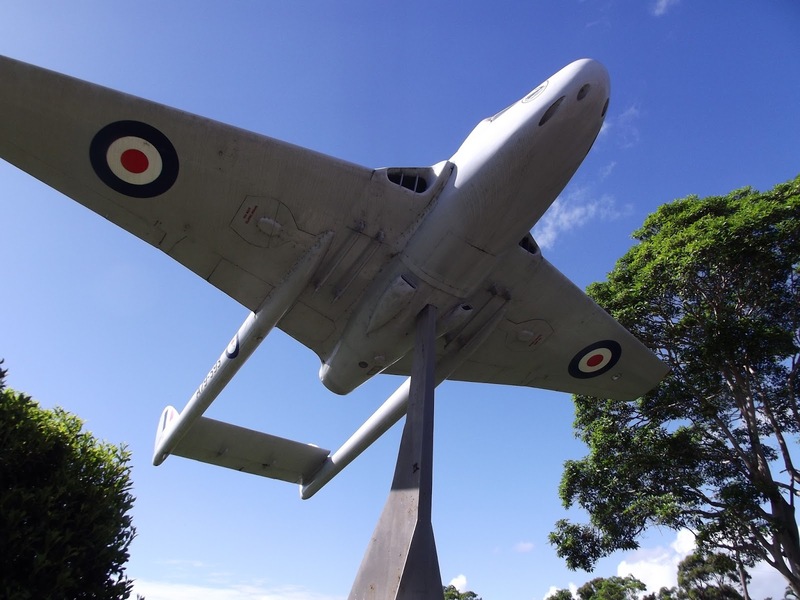 I remembered it as the place where a Royal Australian Air Force de Havilland Vampire fight jet hovers over the park. I found a parking spot near the town centre, got out and immediately spotted a Vinnie's store. Remembering the words of Richard Polt and Adwoa Bagalini, that St Vincent de Paul is the patron saint of typewriter collectors, I popped in. I wasn't all that confident. 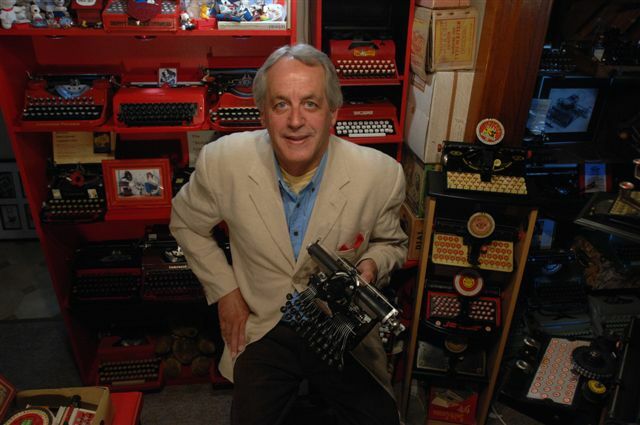 Vinnie's stores in Canberra never have typewriters. "Got any typewriters?" I asked Helen behind the counter. "One just came in this morning," she said. And she produced the purple Nakajima ALL. I could hardly believe my eyes. 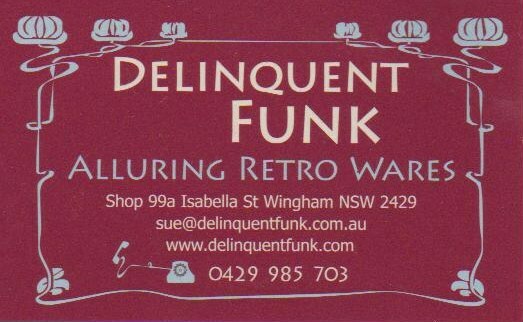 I was on the hunt for the original FuNkOMaTiC, but wasn't expecting to close in on it until much later in the day, when I had found Mullumbimby. And here was another FuNkOMaTiC, just as I was preparing to leave the district empty-handed. Going from a Corona 3 Special on Day One to a Nakajima ALL today is certainly going from the sublime to the ridiculous. But bear in the mind this purple machine cost me ALL of $5. One sold on Australian eBay not so long ago for more than $300! Still, I'd call $5 a fair deal. Yet, not satisfied with this remarkable turn of events, I asked Helen, "Any antiques stores in town?" "One, right across the road," she said, I looked and there it was. 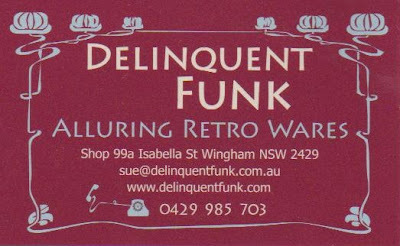 The Delinquent Funk. Funking heck! Will I ever escape this funkiness? Drop a funky atomic bomb of this fade, please! As I started to leave Wingham, I asked an octogenarian crossing the street, "Is going back to Taree the best way to get back on the highway to Brisbane?" "Yes," he said, very matter-of-factly. "Not only is the best way, but it's the only way." Can't beat that, I thought. 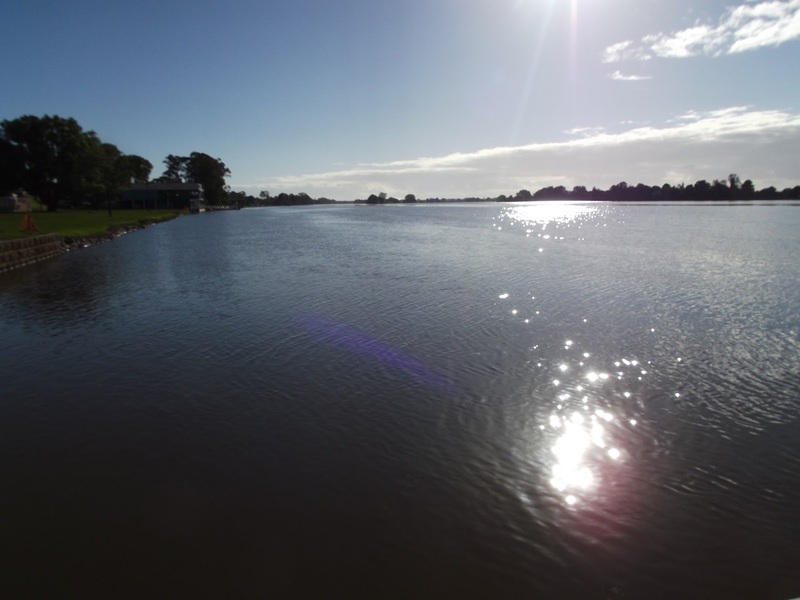 Just north of Taree was sleepy little Cundletown, another village with which I was familiar. 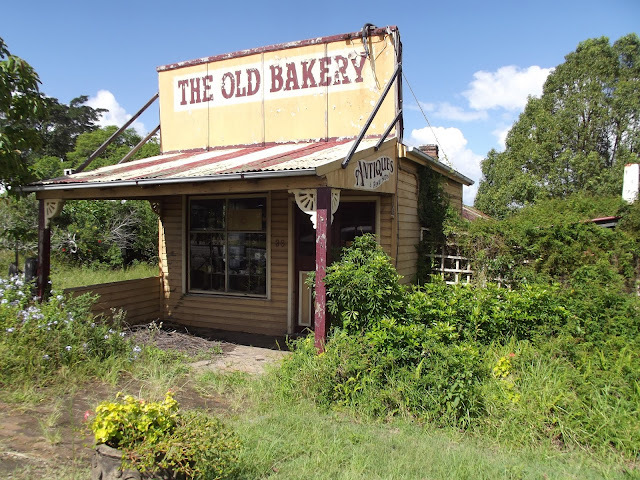 I spotted The Old Bakery antiques store on the edge of the town, stopped and crossed the road. It looked just as I imaged "This Ol' House" to look, on its very last legs. But peering through the cob-web covered windows, I could see there were still antiques displayed inside, including a portable typewriter (is it an Olympia?). Sadly the store is only open on Mondays and Tuesdays. Like Mullumbimby, this may be a place I will have to stop at on my way back home, if I can time the run properly. The run to Mullumbimby in the hope of tracking down the original FuNkOMaTiC started to go badly in Grafton, where I was told to head for Kyogle and look out for signs to Nimbin. Bad move - I should have kept on along the coast towards Ballina. I got to Nimbin, all right, only to be told I was nowhere near Mullumbimby. Eventually, at nightfall, I made to my friend's home in Surfer's Paradise. Tomorrow, perhaps, I will pick up two more typewriters in Brisbane, a Noiseless portable and an unidentified mystery portable. I'll keep you posted. In the meantime, my advice is to stay well clear of Nimbin. It's just a siren call from Uki, which I passed on the way back down the mountain. The entire top floor of the pub was burnt out. It looked like it had taken a direct hit from a massive lightning bolt, leaving it a black, charred mangled mess. The pub's name: Mount Warning. Don't say I didn't mention it. PS: Thank you to Richard, Ted, Nat, Miguel, Dwayne and Rob for their comments and best wishes after the Day One post. 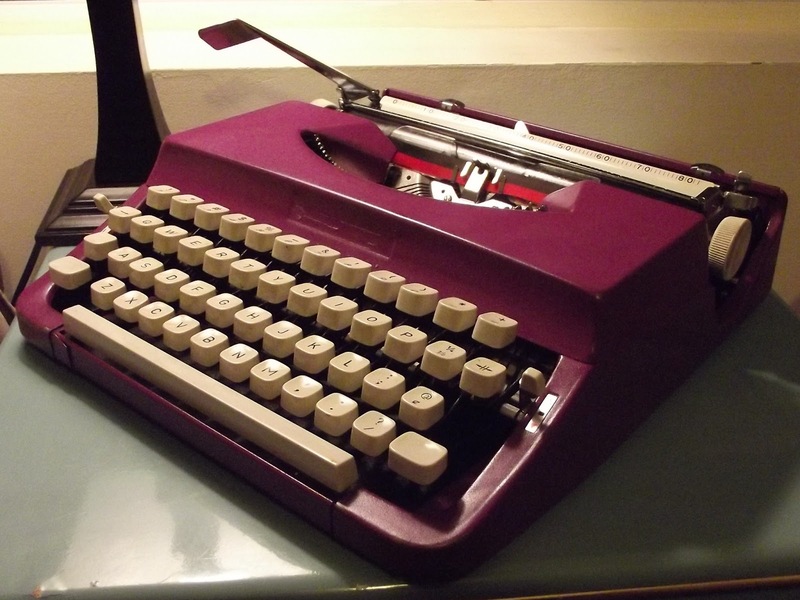 In answer to questions about that post: Yes Miguel, the typecast was done with the Corona 3 Special, and yes Rob, the prices on the typewriters in Berrima are $650 (IGC) and $600 (Corona 4). I love the carriage return lever. Kind of makes me think of an aircraft for some reason. You make me feel a lot better about my including plastic-bodied machines in my collection... though none is so funky atomic looking as this "radioactive purple" Nakajima! Gorgeous photography! I'm fascinated with the first one. So that's indeed a river? It's enormous! Hope you have plenty of space in the station wagon... by the look of it, you'll be adopting quite a few (very lucky!) machines. Have fun, drive carefully, and please keep us posted! Thanks for the fun report. I love Australian place names. 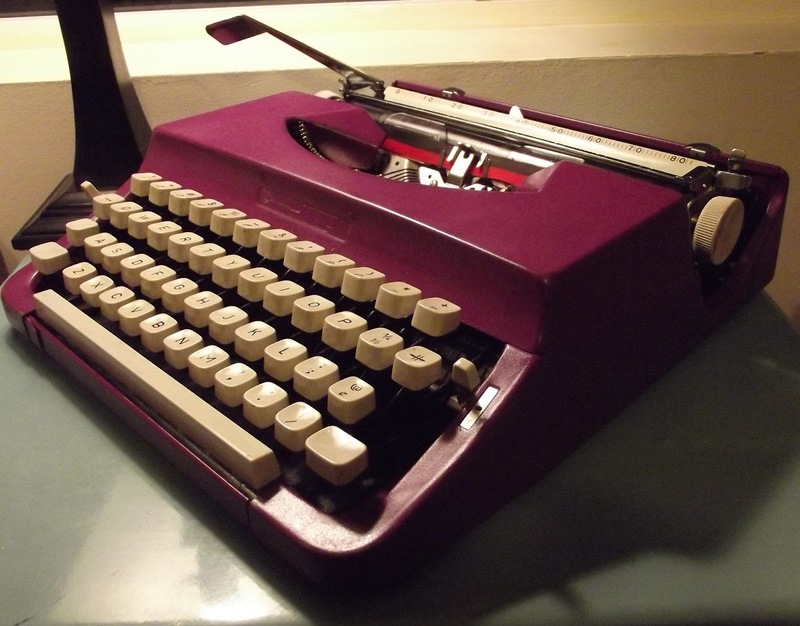 And $5 for a purple prose producer -- can't beat that! Nice to know you are having an enjoyable trip. Great photos of some nice looking places. Australia has some unique place names. I thought Pennsylvania had that market covered by many of the names there.